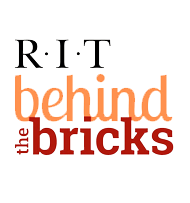 Click on the brochures listed below to answer a variety of common questions regarding online safety concerns in the RIT community. RIT Information Security had the privilege of addressing our incoming class of 2800 students during New Student Orientation this fall. With the help of ETC, we're able to make the content available on YouTube. We had a great time presenting. Let us know what you think of the session by posting a comment!